Originally from Cocoa Beach, Florida, Sheryl has lived in Costa Rica for nearly twenty years. Surfing has always been a significant part of Sheryl’s life and the impetus of her move to Costa Rica. Originally trained in esthetics, Sheryl was inspired by a healing experience with a friend to deepen her knowledge of kinetics, trigger point therapy, and muscle work. That experience moved her to shift her focus and apply her skills to help tired surfers feel better. Sheryl’s massage treatments are customized to each Kelea guest. She uses her unique intuitive approach to massage to care for your post-surf achey and tired muscles. We can’t get enough of Sheryl’s healing massages, and we know that you will love her, too. She’s lived in Costa Rica for nearly 20 years after following her dream of adventure and living a more simple life in deep connection with nature. Nancy has been practicing yoga for over 20 years and teaching for more than 15 years. We know that you’ll love meeting Nancy! Jonathan was born and raised along the beach at Mal Pais. He’s been a part of of the Kelea team since he was a teenager. A true tico (native Costa Rican), he started surfing at 12 years old, and he hasn’t stopped since. His friendly, thoughtful, and easy personality helps put guests at ease. “If you say hi to me, I will say, ‘Hola’ back to you with a smile." Jonathan exudes a calm presence in the water. His approach to surf instruction is laid-back. He loves to encourage new surfers to just get out there and “go for it”, and he is always happy to help a surfer learn simple adjustments to improve turns, paddling, or popups. Jonathan’s family owns and operates the Hotel Ritmo Tropical, where our guests reside during retreat. He’s the only man on the Kelea team, and we’re happy he’s a part of the Kelea community! After college, Angelina moved to the Hawaii because of her deep love for the ocean. 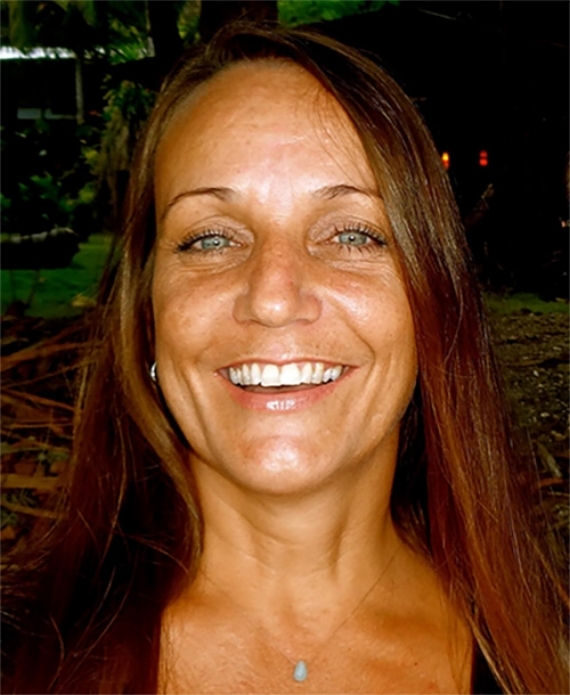 She began studying massage therapy at Hawaii Healing Arts College in Kailua where she learned techniques including traditional lomi lomi, sports massage, shiatsu, pregnancy massage and reflexology. She’s also studied with several massage therapists in energy work techniques such as chi nei tsang, and cranial sacral massage. She’s grateful to share body work others so that they can fully function in everyday life. Angelina is a caring and compassionate massage therapist. If you’re headed to Hawaii, you’re in for a treat! Annie is a California native who loves the ocean and exploring the great outdoors. Her love of surfing and travel has led her to search for waves in Australia, Indonesia, Mexico, Southeast Asia, Costa Rica and Hawaii. She has been teaching surfing for several years in California, Costa Rica and Hawaii. She is CPR, First Aid, and Ocean & Water Rescue certified. Annie is patient, laid back, and adventurous, which helps make her approach to surfing instruction really effective for beginners. Her positive attitude and good spirit are contagious. We’re so grateful to have Annie on the Kelea team! 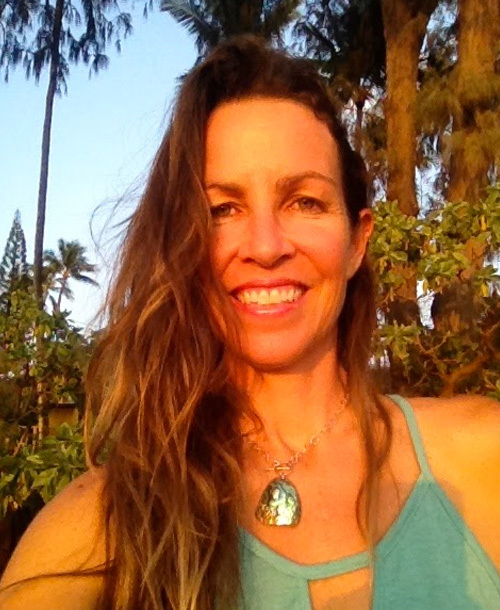 Tara is our yoga wahine at our Hawaii location. She’ll lead you through a gentle post-surf yoga session that can help you increase strength and flexibility, both of which are needed out in the surf. Tara moved to Oahu in 2007 to pursue her love of the ocean, surfing, and living closely connected to nature. As an advocate for natural and holistic healing, she has been practicing massage and yoga for over 16 years. She incorporates the therapeutic aspects of yoga and touch into each yoga class, focusing on relaxing the mind and healing the body.